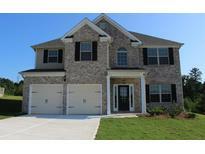 Below you can view all the homes for sale in the Harvest Mill subdivision located in Conyers Georgia. 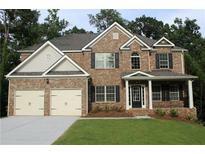 Listings in Harvest Mill are updated daily from data we receive from the Atlanta multiple listing service. To learn more about any of these homes or to receive custom notifications when a new property is listed for sale in Harvest Mill, give us a call at 404-998-4166. This Is A Must See House. MLS#6534675. Berkshire Hathaway Homeservices Georgia Properties. This Home Is A Must-See! Call Today! MLS#6092626. Silverstone Realty, Llc. Large Deck With Valley View. Stock Photo MLS#6086442. Silverstone Realty, Llc. Hugh Kitchen With Island That Opens To The Large Family Room And More! MLS#6086408. Silverstone Realty, Llc. Be In Before The New Year!! ! MLS#6086435. Silverstone Realty, Llc. Our Plans Offer The Best Maximization Of Space Per Square Foot, With Large Closets, Bedrooms, Baths, And Living Spaces. MLS#6086434. Silverstone Realty, Llc. Our Plans Offer The Best Maximization Of Space Per Square Foot, With Large Closets, Bedrooms, Baths, And Living Spaces. MLS#6056978. Silverstone Realty, Llc. Our Plans Offer The Best Maximization Of Space Per Square Foot, With Large Closets, Bedrooms, Baths, And Living Spaces. MLS#6056954. Silverstone Realty, Llc. Our Plans Offer The Best Maximization Of Space Per Square Foot, With Large Closets, Bedrooms, Baths, And Living Spaces. MLS#6056957. Silverstone Realty, Llc. This Home Has A Large Deck And Beautiful Wooded Lot With A Great View Of The Valley. Stock Pictures MLS#6032388. Silverstone Realty, Llc. 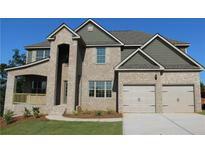 This Model Home Is A Must See And Ready Now. MLS#5903195. Silverstone Realty, Llc. Wow What A Deal! Hurry Out! (File Photos) MLS#5821727. Re/Max Center.